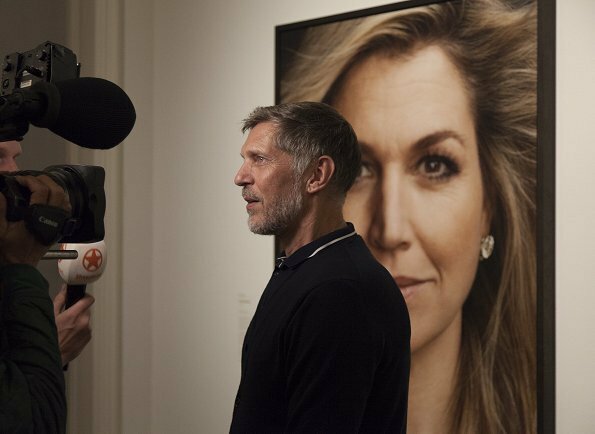 New official portraits of Queen Maxima of The Netherlands and her three daughters, Princesses Catharina-Amalia, Alexia and Ariane were published by RVD (Government Information Service - Dutch: Rijksvoorlichtingsdienst). 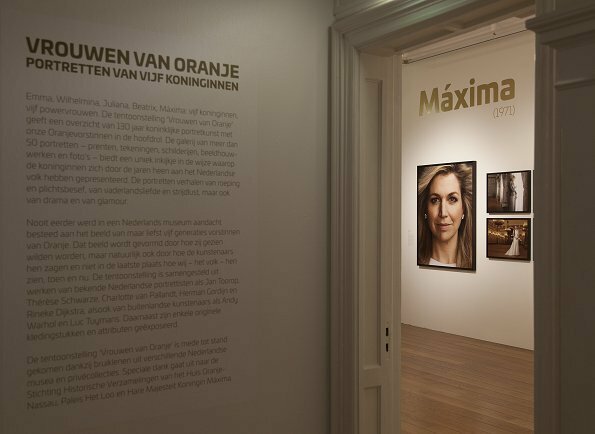 Those portrait photos taken by photographer Erwin Olaf on April 18, 2017 on the occasion of 50th anniversary of King Willem Alexander of Netherlands are exhibited at Jan Cunen Museum in Oss. Very good lighting and excellent pictures. Love particularly how pretty and distinctive Catherine-Amalia looks. 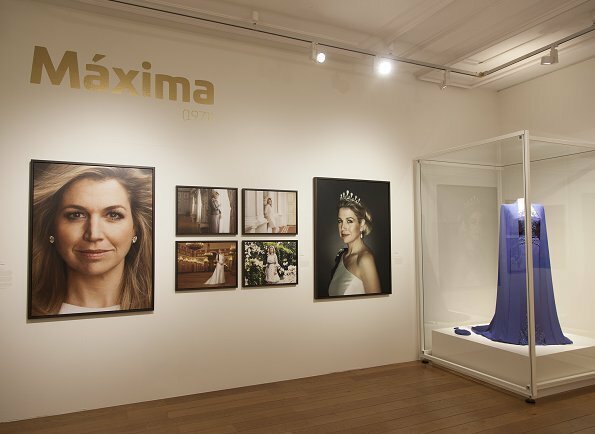 Also that the photographer did not smooth Maxima´s wrinkles away. Yes, Blondini, I like the realism of the photo. Her wrinkles are the result of the happiness and joy she feels and gives when she is relating to others, well earned. Et on ne pourra pas soupçonner la reine de soins au Botox ou acide hyaluronique . Les demoiselles n'ont pas confiance en elles et se cachent derrière leurs cheveux . The girls are very distinctive-looking. Alexia looks amazingly like her Mother, Maxima, except for the red hair. 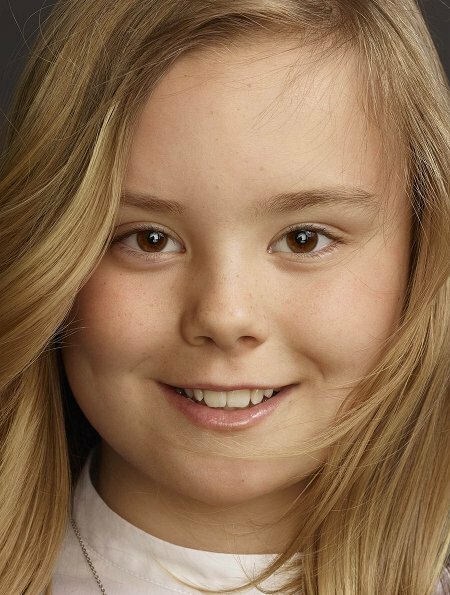 Catharina-Amalia is a combination of Maxima and her grandmother Beatrix. Ariane--I just don't know. I think the shape of her eyes is a bit like her Uncle Constantine's. 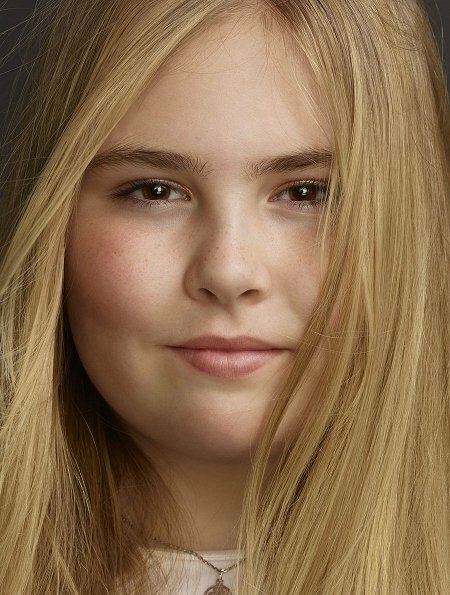 To me, Princess Ariane resembles much of her great-grandfather, Prince Benhard. Ah, that is interesting, Matheus. Thank you. I was not that aware of Bernhard. He had passed away before I became interested in following the family. These are beautiful portraits and beautiful photographed. The light, the focal point, the image section, a great piece of work, that shows the chemistry between the 'models' and the photographer and brings out the different personalities of each of them. Erwin Olaf is an artist. Wonderful and very eye-catching photos! Ariane has very interesting and exotic eyes. Alexia looks so much like her mother (esp. her eyes and mouth). 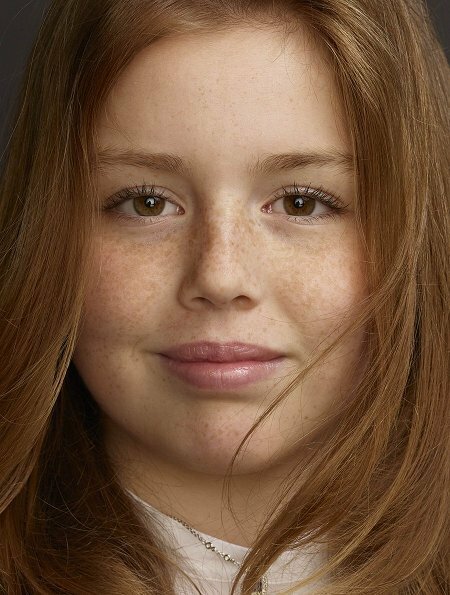 Catharina-Amalia is also lovely mix of her parents. And Maxima looks lovely as always. I love Maxima's wrinkles and all. I think she has enough self-confidence to be happy the way she is, so I think she won't erase her wrinkles like some other royal ladies have done, e.g Queen Letizia, CPss Mary, lately even CPss Victoria. Sono Bellissime queste foto, adoro Maxima in tutta l'espressione! D'accordo con voi per Alexia:assomiglia molto a sua Madre tranne per i capelli rossi. Catharina Amalia: bella ma diverrà bellissima, vedo tanto in lei la bellezza della Regina Guglielmina da giovane, Tranne che per le labbra che sono di sua Madre, in lei s'intravede pure il fascino della regina Giuliana, veramente bella! Ariane ha preso molto dal Padre: le labbra i capelli la forma del viso, e sempre dalla parte del Padre: il taglio degli occhi come quello del Principe Costantin e del Principe Bernard, molto carina. Tolle Fotografien - ein bisschen in Richtung Jeanloup Sieffe, dessen Werk ich sehr mag. Ich liebe auch die Natürlichkeit dieser Bilder. Sehr schön! Beautiful pictures of a lovely family. Beautiful photos. I could never be royalty like a queen, princess, etc. I absolutely refuse to have my picture taken so there is no way I would be able to be a royal.